If your loved one has suffered from neglect or abuse at a Riverdale nursing home, know that you’re not alone. Both neglect and abuse occur across various nursing homes in Georgia. That is why we have dedicated our site to assist individuals who are pursuing lawsuits against nursing homes. Once you’ve had the chance to visit our site, please call us so that we can schedule a consultation and discuss your case. We’re here to help you. Both neglect and abuse occur frequently. Neglect usually stems from a nursing home staff member failing to implement the proper procedures required by law. It can be as simple as failing to follow the proper diet set forth by a resident’s physician. Abuse on the other hand is an intentional act from a staff member or another resident that’s done with the intent to harm. Regardless if it’s neglect or abuse, neither should ever take place. What happens in a nursing home abuse lawsuit? Nursing home lawsuits usually take an average of 18 months to 2 years. The reason a nursing home claim will go to trial, is because both parties are unable to negotiate a settlement, or the case must be filed to preserve a claim. Before the lawsuit takes place, a claim is usually established with a demand package. A demand package is usually prepared by an attorney, and is usually a summation of facts of the claim that includes relevant documents and evidence. The demand package will also contain a demand for a specific amount of money in order to settle the claim, in exchange for the promise to not pursue the claim. The nursing home and their attorneys will then receive the package, review it, and conduct their own investigation. They’ll then usually counter the demand with a much less figure. When this happens, both parties will conduct negotiations in order to reach a settlement. If a settlement is not reached, then the claim will go to trial. Just because a claim goes to trial, doesn’t mean there isn’t a chance for a settlement to still be reached. How is a nursing home neglect case valued? The value of a case is determined by a variety of factors such as the permanency of the injuries, the amount in lost wages and medical procedures, and the affect that the pain has on the resident’s day to day activities. These factors and others are thrown into a calculation to then determine the value of the case. One of the most important factors that determines the value is the permanency of the injury. In severe cases of bodily injury, such a loss of a limb, or a serious disability, the value of the case will be much larger. Another item that is also considered when calculating the value of a claim is the level of change that the injury brings to the victim’s life. Missing important events such as weddings, births, or not being able to do daily hobbies such as hiking or playing with children, will also have an impact on the value of the case. We are Schenk Smith, your Riverdale nursing home lawyers. At Schenk Smith we are 100% dedicated towards helping elderly residents who have suffered nursing home abuse or neglect. We are not interested in representing or practicing any other form of law. We dedicate our efforts in making sure elderly residents recoup what’s rightfully theirs. Our passion and approach stems from our founding attorney Will Smith. Before becoming an attorney, Will Smith was a Marine, and also served as a CNA in nursing home across Georgia for a decade. That’s why we take our approach seriously in making sure that our clients are well represented. When you visit our site, you will encounter over 200 videos, countless podcast episodes, and plenty of blog articles which are all dedicated towards helping individuals fight nursing home neglect and abuse. After you’ve had the chance to check out our resources, please give us a call so that we can schedule you a free consultation in order to discuss your case. We’ll come to you regardless of where you live. Whether you’re by Riverdale Park, Rum Creek Park, or Fort Gillem, we’ve got you. Nursing Home Abuse & Neglect in Riverdale, Georgia – What you need to know. Riverdale, Georgia is located in Clayton County and has a population of 15,812 residents, of which 9.80% are aged 65 and older. Like in other nursing homes around the state of Georgia, neglect and abuse occur frequently. How can I spot the types of neglect? Poor hygiene is the most common form of neglect. The signs of poor hygiene are usually the result of nursing home staff members failing to assist residents with bathing, brushing their teeth, clipping their nails, and changing their clothes. When nursing home staff members fail to assist guests with these activities, poor hygiene will be the result. Unexplained injuries, and malnutrition are other signs of neglect. When a resident is looking frail and unhealthy, then chances are they may not be receiving the proper diet necessary, or the diet that was set forth by their physician. Unexplained injuries are usually the result of unsafe living conditions, as well as nursing home staff members failing to assist guests with their day to day activities such as using the restroom. Where on the body do bedsores most often occur? Usually bony prominences, or parts of the body in which tissue is closest to the bone, are often susceptible to bedsores. Bedsores usually occur where pressure is exerted on the skin, which makes bony body parts very susceptible. When residents remain in the same position for an extended period of time, the pressure created will often lead to bedsores. Sitting in a chair or lying in a bed for a long time without any movement will usually result in bedsores, unless nursing home staff members help those residents move to a different position. Nursing home residents who are often susceptible to bedsores due to limited mobility and also because of the use of medical devices. That is why nursing homes always need to make sure to take the proper precautionary measures in order to best prevent bedsores from forming. Who will be held liable for the neglect? If neglect has taken place that has resulted in some form of injury, then the nursing home may be held liable. Nursing homes are required by law to provide a reasonable standard of care to all of their residents. This means that nursing homes need to maintain a full staff of well trained nurses. Failure to do so often leads to neglect, which will usually leave the nursing home liable. Nursing homes are also required to conduct assessments for each resident in order to determine what precautions need to be taken so that they are always safe and taken care of in the nursing home. Failure to conduct assessments or failure to follow a resident’s physician’s orders will often lead to neglect, which will leave the nursing home liable. If any form of neglect has occurred, and your loved one has been injured as a result of it, then it is in your right to pursue a lawsuit against the nursing home. My loved one was hurt in a Riverdale nursing home – What do I do next? If your loved one has been injured, abused, or has passed away at a Riverdale, Georgia nursing home, then we highly advise you to act immediately, in order to protect your loved one’s rights. The Healthcare Facility Regulation is a division of The Georgia Department of Community Health, which investigates cases of nursing home neglect and abuse. This division also regulates and certifies nursing homes in the state of Georgia. Another route to take is through the Georgia Office of the Long-Term Care Ombudsman. The Ombudsman program consists of a group of individuals who aim to resolve cases of nursing home neglect or abuse. The Ombudsman group is also authorized by law to enter nursing homes and ask questions in order to seek answers. If your loved one has been assaulted and injured at a nursing home, then you should file a police report immediately. Depending on the severity of the crime, criminal charges may be brought against the perpetrator by the District Attorney’s Office: Clayton Judicial District. For abuse occurring in a Morrow, Georgia nursing home, report the crime to the Police Department of Riverdale, Georgia or the Clayton County Sheriff. It is in your best interest to seek a better suited nursing home facility for your loved one if they’ve suffered from neglect or abuse. When you begin your search for a nursing home, it is best to conduct walkthroughs at the potential locations. While doing so, it is imperative that you ask as many questions as possible, in order to get a feel for the facility and the staff itself. Another tool to use is the Nursing Home Compare website which compiles data on every nursing home in the country. Nursing homes are given a rating that is based off of several factors such as quality, inspection scores, and nurse-to-resident ratios. For your convenience, a list of all nursing homes located in Riverdale, Georgia is located below, along with their contact information and inspection scores. If your loved one has been injured as a result of nursing home neglect or abuse, then we recommend that you obtain their medical records immediately. The reason it has to be done quickly, is because nursing homes will usually stop at nothing to place the blame on the resident. For example, if your loved one suffered a broken a bone due to a slip and fall from a wet floor, chances are the nursing home will try to claim that your loved one’s bone was already broken – even if the evidence clearly indicates the opposite. To protect your loved one’s rights, you need their medical records. These records will usually show who the primary physician was, as well as information on the hospital visit. It is also important to obtain the nursing home medical records, because those will sometimes show signs of neglect or abuse. State and Federal privacy laws prevent third-parties from obtaining medical records without the proper written authorization forms. These forms will usually be either a power of attorney, guardianship paperwork, or a healthcare directive. If your loved one has been injured at a Riverdale nursing home, then chances are their medical records will be located at one of the hospitals listed below. Once you’ve obtained their medical records, your next step will be to make a request to the Release of Information Department of the hospital. If your loved one has passed, they still have the right to pursue a lawsuit. A deceased person’s right to pursue a lawsuit is handed over to the Estate. For example the plaintiff goes from being “John Doe” to “The Estate of John Doe”. But before a lawsuit can be filed, the Estate will first need to be established. This means that the surviving spouse, child, or relative will need to petition the Probate Court of the County in which the deceased has passed. If you’re currently dealing with this predicament, then you need to establish an Estate immediately. While doing so you will need to appoint a personal representative who is often referred to as an Executor or an Administrator. This personal representative will then act on behalf of the Estate, and will make all the decisions with regards to the lawsuit. No two nursing homes alike as each have their own pros and cons, which makes them different. Below is a list of the nursing homes located in Riverdale, Georgia, along with relevant information for each. This information is taken from CMS’ Nursing Home Compare Website. Dedicated: At Schenk Smith we only focus on representing elderly residents who have suffered from nursing home neglect or abuse. Focusing on one area of law makes us more knowledgeable about any changes in law that pertain to nursing home cases. This knowledge combined with our skills and efforts has resulted in great accomplishments, as we’ve had millions in verdicts and settlements in the past two years. 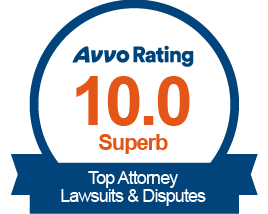 Highly Regarded: We are the best Google reviewed law firm in Georgia that focuses on nursing home cases, and that’s not all. 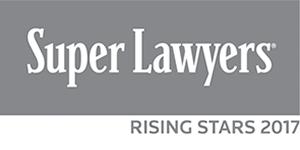 Our attorneys have also been selected as Georgia Super Lawyer Rising Stars. These are just a couple of reasons, why we should be your top choice. Don’t take our word for it either, check out our client testimonials, and see for yourself why they consider us a great choice to represent you. Resourceful: At Schenk Smith we have dedicated all of our resources towards helping those who have suffered from neglect or abuse at the hands of nursing homes. Our attorneys also attend and lead legal education seminars that are dedicated towards nursing home cases. We enjoy representing our clients, as our attorneys are also members of senior citizen advocacy groups. If your loved one was injured or died in a Riverdale, Georgia nursing home, please call us at Schenk Smith (678) 823-7678 for a free consultation. You can also check out hundreds of video FAQs on our website.